If you want to be delighted by your photos and HD videos; if you want to catch detailed close-ups of faraway action; if you like the styling of advanced cameras but want the simplicity of a point-and-shoot, say hello to the COOLPIX L830. With a superb NIKKOR super telephoto glass lens that delivers 34x optical zoom plus an astounding 68x Dynamic Fine Zoom, you'll be amazed by how far you can reach. Optical Vibration Reduction helps ensure a little camera shake won't blur your photos—a big plus when shooting at these long zoom distances. The COOLPIX L830's comfortable design, elegantly simple controls and intuitive menu system make operation a breeze. You can even tilt the high-resolution LCD for a better view while recording Full HD 1080/60i video with stereo sound. Getting closer to the moments that matter just got easier. 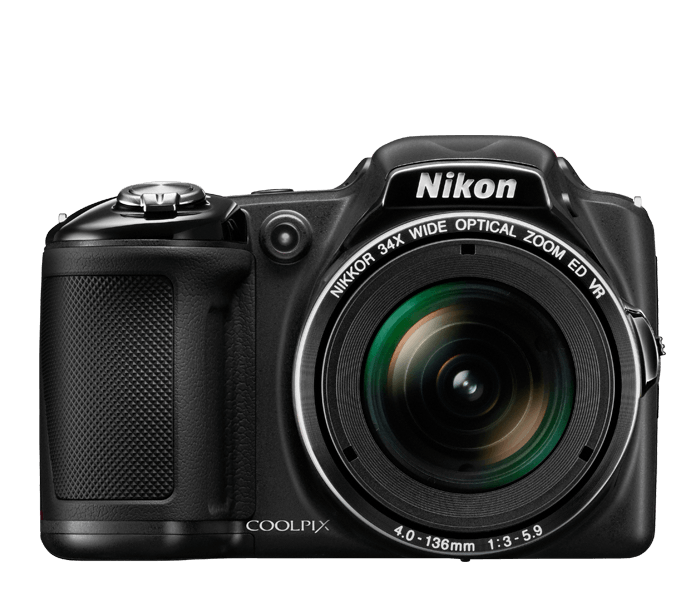 The COOLPIX L830 is so easy to use, anyone can take great photos and videos with it. Just turn the camera on, point, shoot and marvel at the results. For maximum point-and-shoot convenience, select Scene Auto Selector. It automatically optimizes the camera settings for each shot, no matter how challenging the situation. You'll be free to enjoy the moment while you capture it. The COOLPIX L830's large, 921,000 LCD display makes it easy to compose your shots or monitor your video recording. Reviewing and sharing your creations is a pleasure, too—every shot looks fantastic on the display. Experienced photographers optimize their camera settings to match the situation. The COOLPIX L830 does that work for you. With 21 Scene Modes, including Beach, Snow, Night Portrait, Sunset and more, it's easy to match the moment to a Scene Mode. You can even get creative and use Scene Modes to alter ordinary shots. Or, select Scene Auto Selector and let the camera choose the best mode for your situation.